These are ridiculously easy to prep – about 5 minutes and you’ll have breakfast for the week ready to go, which makes them an ideal make-ahead breakfast. A lot of people like to put the oats into smaller mason jars to make them portable – I prefer mine in a larger jar. We tend not to eat on the go, and this makes it easier to portion out – more for me, smaller servings for the kids. In a bowl, mix together everything except the toppings. Transfer to whatever you’re storing it in, cover and refrigerate. 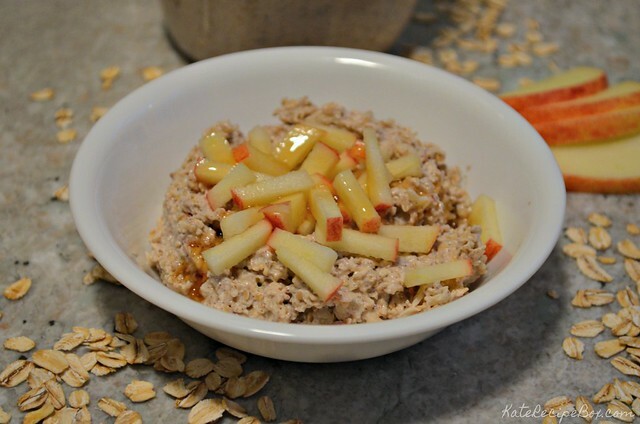 When serving, mix in additional milk if you want a thinner consistency, and top with chopped apples and additional honey. 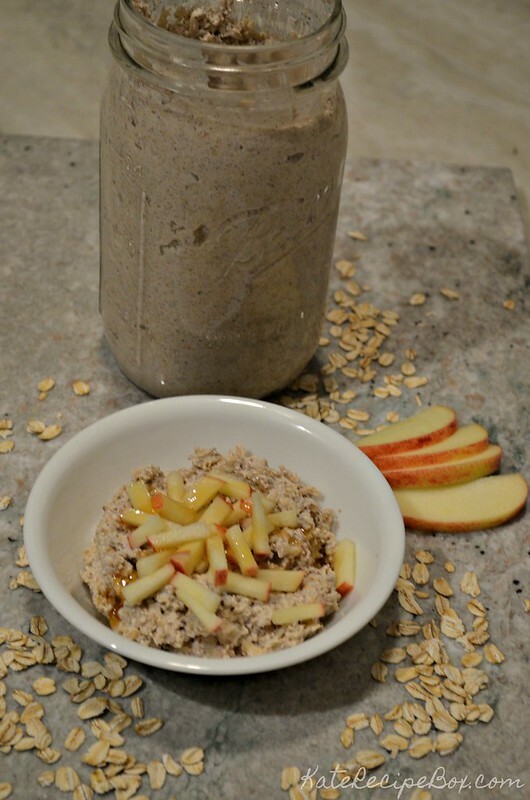 I’m such a huge fan of overnight oats, and this combination is one I’m going to really enjoy! I really do need to get with this trend…it might remind me that I should really eat breakfast! It definitely helps to have something made ahead! Love! I was never a big oatmeal person until I tried overnight oats. Now I buy oats in bulk from Costco and they’re my go-to breakfast. They’re so easy! It’s a great go-to. 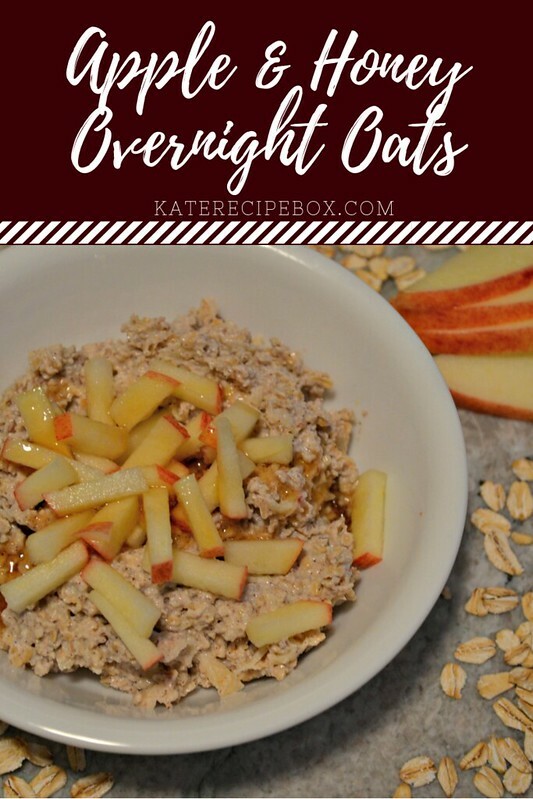 I have an overnight oats event coming up and was planning on making apple cinnamon….your recipe sounds better than the one I was looking at…..I will make sure I give you credit if I decide to make it. This is a wonderful idea for breakfast! I recently tried this combination and loved it. Yours look delicious to make, would love to try this.